The jawbone found in Isreal. Scientists have found what is believed to be the oldest fossil ever uncovered outside of Africa. The fossil, an ancient jawbone found ten years ago in a collapsed cave on the coast of Isreal, is at least 175,000 years old. For the past decade, scientists have been pouring over it, analyzing its structure, and attempting to carbon date it. The bone was found in the Misliya Cave on the western side of Mount Carmel, where it is believed that the jawbone’s owner lived. The area around Misliaya has been excavated multiple times in the past century, but due to the nature of the cave (and the fact that it was covered by heavy stone slabs), it was never explored. Ten years ago, however, a team was able to get inside and explore. They discovered that, before its collapse, the cave had been deep. Its proximity to the water, a coastal plain, and forested areas also made it perfect for hominin habitation. The items found in the cave led scientists to believe that the bone belonged to a member of our own species, something that they are confident of after years of study. Until now, the oldest human fossils ever found have all been located in Africa, where Homo sapiens originated. 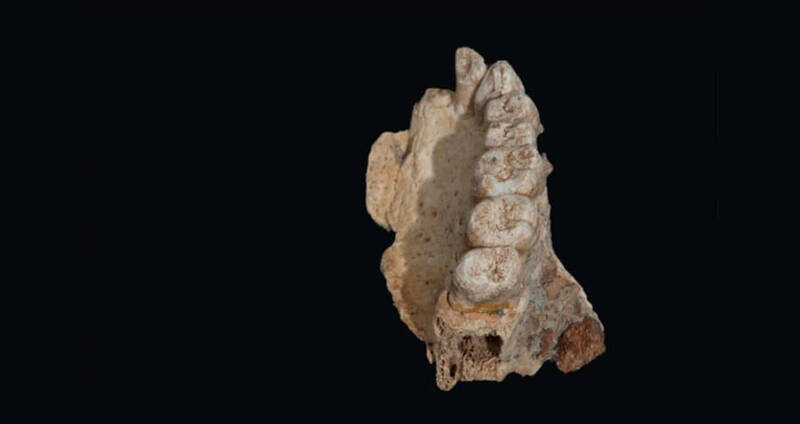 The jawbone most likely belonged to an early explorer, likely looking for habitable land in nearby areas. The bone still contains eight of its teeth, a rare find for a jawbone, as the teeth usually fall out. Though the single jawbone cannot reveal too much about its owner, scientists have been able to learn a bit. 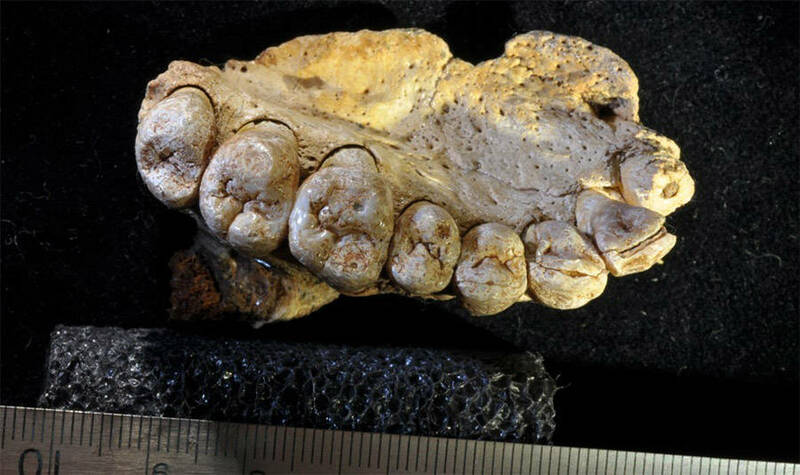 For example, they noted that the teeth were characteristically similar to modern humans, in that they were straight-edged and not shovel-shaped like those of a Neanderthal. The jawbone found in Israel. Along with the fossil, scientists found stone points that would have been used in an advanced form of stone knapping, known as the Levallois technique. The sophisticated method, which involves outlining a particular shape on the stone before cutting it out with a single blow, suggests that the creator was using abstract thinking, an advanced form of thought. Perhaps the most interesting part of the find is the timeline that it creates as far as human migration is concerned. Due to an analysis of DNA taken from Europeans, Asians, Australians, and Americans, scientists previously believed that humans left Africa between 60,000 and 75,000 years ago. Now, scientists believe that the timeline could be pushed back. It also suggests that homo sapiens and other hominid species such as Neanderthals overlapped in western Asia, suggesting that there could have been interbreeding. Though the fossil opened up a whole new world of questions, one thing is for sure – there’s no doubt that the discovery of the bone and the tools around can help understand human migration and the success of those who traveled.